Approaching the end of its third season in F1, Haas is looking increasingly likely to secure fifth in the team standings. But for a number of factors, including loose wheels and driver errors, the team might have been challenging for fourth, a remarkable achievement for such a young team. In fact, for a few short hours the American outfit was fourth, Romain Grosjean‘s convincing drive to sixth at Monza allowing the team to leapfrog Renault. 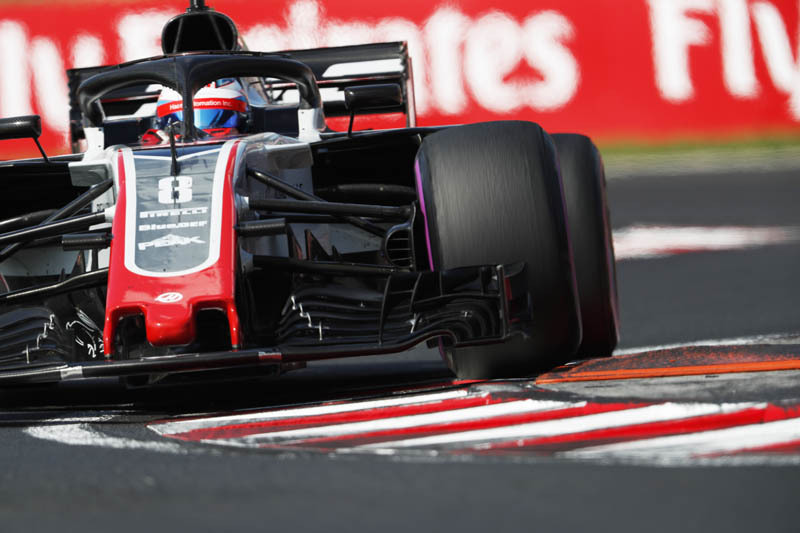 However, the French team subsequently protested the floor on the Frenchman’s car, and only last week the FIA’s Court of Appeal upheld the decision which saw the Haas driver disqualified from the event. Despite the fact his team has done well to finish fifth in the standings, ahead of the likes of McLaren and Williams, Guenther Steiner is still clearly bitter at Renault‘s attitude. Thirty points adrift of the Enstone-based outfit, Steiner admitted to being surprised that the gap wasn’t bigger considering the French manufacturer’s long history in the sport and its resources. “No,” said the Italian, when asked if Grosjean’s disqualification had tainted the season for his team. “We are in our third season, we are fifth, we are fighting with Renault, which they should be a lot better anyway. “I think it shows how desperate they are,” he continued, “because they are a works team, they have five times as many people as us, and they are fighting with us. It’s actually for us an honour. What can you say? I would ask them how they feel about it. In terms of the disqualification, Steiner admits the team has learned a valuable lesson. Nonetheless, he isn’t entirely happy with the manner in which the FIA dealt with the situation of the floor.